In the past five years Wellington Colorado has gone from being Colorado’s Northern Gateway, a stop to fuel up while passing through, to the 4th fastest growing municipality in Colorado. Downtown Wellington has flourished in the past several years, with the support of the Wellington Main Streets Program. New and old businesses, volunteer organizations, and local government, have worked collectively to create a downtown worthy of shopping local and sticking around town for. Whether it is to grab a bite to eat at any of the 10 restaurants, for coffee or a tasty treat from Owl Canyon Coffee or The Cakery, a beer at Old Colorado Brewing Company or Soul Squared Brewing Company, or for some shopping at Thistle, Proper Time, or Wellington Auction, there is something for everyone. There are events happening almost every night of the week somewhere in downtown Wellington, and downtown Centennial Park has monthly, if not weekly, events from spring until fall. Along with the increase in people and businesses, there has also been an increase in volunteer groups and volunteer efforts around town. The Rotary Club provides the Hydration Station for the Summer Concerts and Brewfest, the Kiwanis Club helps with the Christmas festivities and Arbor Day Celebration, the Boys and Girls Club kids participate in events and downtown beautification efforts, and the Wellington Area Chamber of Commerce volunteers always show up to community events and on parade day. The Wellington Main Streets Program volunteers come from all areas of the community, to share their time, talents, and vision, in our collective efforts of making downtown Wellington a great place to be. We are excited to kick off another year of projects and events, in downtown Wellington. We have more murals in the works, including one of the historic Wellington Train Depot. We are changing things up with the Summer Concert series by instead doing a day long music festival event we are calling ‘Well-O-Rama’ and are holding August 17th in Centennial Park. This year’s music festival won’t be as wild as the historic annual Well-O-Rama event that started in 1968 as a celebration of paving Cleveland Ave., but we are sure to have attendees who remember those days. Don’t miss out on tickets for this year’s Brewfest, June 1st, for year two of this Wellington Main Streets Program’s fundraiser event put on by the local breweries. 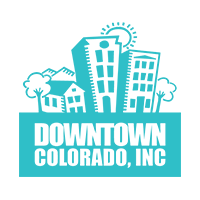 Wellington Main Streets Program is a nonprofit organization that serves to promote, enhance, and develop downtown Wellington, which we do through downtown beautification efforts, events, and working collaboratively with the town on revitalization efforts. 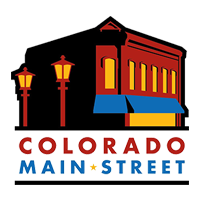 We have been around since 2014 and are now a Designated level Colorado Main Street Program. We work to make downtown Wellington, which we refer to as ‘Wellington’s Front Porch’, an inviting, economically thriving, and pedestrian friendly place to be. Visit our website at www.wellingtonmainstreet.org to learn more about our efforts.